The Terms are a legally binding contract between you and umbrellalaw.ca. This contract sets out your rights and responsibilities when you use the services provided by Umbrella Law (we’ll refer to our website, mobile apps and other services as our “Services”), so please read it carefully. By using any of our Services (even just browsing our website), you’re agreeing to the Terms. If you don’t agree with the Terms, you may not use our Services. You with us? Great, read on! C. You are responsible for your account. You’re solely responsible for any activity on your account. If you’re sharing an account with other people, then the person whose billing information is on the account will ultimately be responsible for all activity. E. Let’s be clear about our relationship. These Terms don’t create any agency, partnership, joint venture, employment or franchise relationship between you and Umbrella Law. Warranties. Umbrella Law is dedicated to making our Services the best they can be, but we’re not perfect and sometimes things can go wrong. You understand that our Services are provided “as is” and without any kind of warranty (express or implied). We are expressly disclaiming any warranties of title, non-infringement, merchantability and fitness for a particular purpose, as well as any warranties implied by a course of performance, course of dealing or usage of trade. We do not guarantee that: (i) the Services will be secure or available at any particular time or location; (ii) any defects or errors will be corrected; (iii) the Services will be free of viruses or other harmful materials; or (iv) the results of using the Services will meet your expectations. You use the Services solely at your own risk. Liability Limits. To the fullest extent permitted by law, neither we, nor our employees or directors shall be liable to you for any lost profits or revenues, or for any consequential, incidental, indirect, special or punitive damages arising out of or in connection with the Services or these Terms. 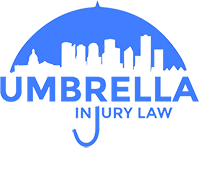 In no event shall Umbrella Law aggregate liability for any damages. The Seller will not be liable for any indirect, special, consequential, or punitive damages (including lost profits) arising out of or relating to this agreement or the transactions it contemplates (whether for breach of contract, tort, negligence, or other form of action) and irrespective of whether the Seller has been advised of the possibility of any such damage. In no event will the Seller’s liability exceed the price the Buyer paid to the Seller for the specific Goods provided by the Seller giving rise to the claim or cause of action. Limitation of Actions. No action arising out of or relating to this agreement or the transactions it contemplates may be commenced against the Seller more than 12 months after the basis for such claim could reasonably have been discovered. The Goods are being sold “as is,” and the Seller disclaims all warranties of quality, whether express or implied, including the warranties of merchantability and fitness for particular purpose. The Buyer acknowledges that it has not been induced by any statements or representations of any person with respect to the quality or condition of the Goods and that no such statements or representations have been made. The Buyer acknowledges that it has relied solely on the investigations, examinations, and inspections as the Buyer has chosen to make and that the Seller has afforded the Buyer the opportunity for full and complete investigations, examinations, and inspections. We hope this never happens, but if Umbrella Law gets sued because of something that you did, you agree to defend and indemnify us. That means you’ll defend Rescued Textures (including any of our employees) and hold us harmless from any legal claim or demand (including reasonable attorney’s fees) that arises from your actions, your use (or misuse) of our Services, your breach of the Terms or your account’s infringement of someone else’s rights. The Seller shall sell to the Buyer and the Buyer shall purchase from the Seller the goods in the quantities and at the prices stated on the website. Unless otherwise stated, the Buyer shall pay all taxes and third-party expenses imposed on, in connection with, or measured by the transaction contemplated by this agreement in addition to the prices set forth by Umbrella Law. Unless otherwise stated the Seller shall deliver the Goods FOB the Seller’s facility, and title to and risk of loss of the Goods will pass to the Buyer upon such delivery by the Seller. Any stated delivery dates are approximate. The Seller will not be liable for any losses, damages, penalties, or expenses for failure to meet any delivery date. The Seller will not be liable for delays in performance or for non-performance due to unforeseen circumstances or causes beyond the Seller’s reasonable control. The Buyer may not assign any of its rights under this agreement or delegate any performance under this agreement, except with the prior written consent of the Seller. Any purported assignment of rights or delegation of performance in violation of this section is void. Umbrella Law maintains the right to all original photo’s, works and prints. You do not have permission to duplicate any works without prior and explicit consent from the copyright owner. The Terms, including all of the policies that make up the Terms, supersede any other agreement between you and Umbrella Law regarding the Services. If any part of the Terms is found to be unenforceable, that part will be limited to the minimum extent necessary so that the Terms will otherwise remain in full force and effect. Our failure to enforce any part of the Terms is not a waiver of our right to later enforce that or any other part of the Terms. We may assign any of our rights and obligations under the Terms.